Mehta is a producer and DJ from Saskatoon, SK, Canada. He has recently released music with Skylab and Techno.Black, both out of Calgary. He is also active as a promoter with his group Plan B. 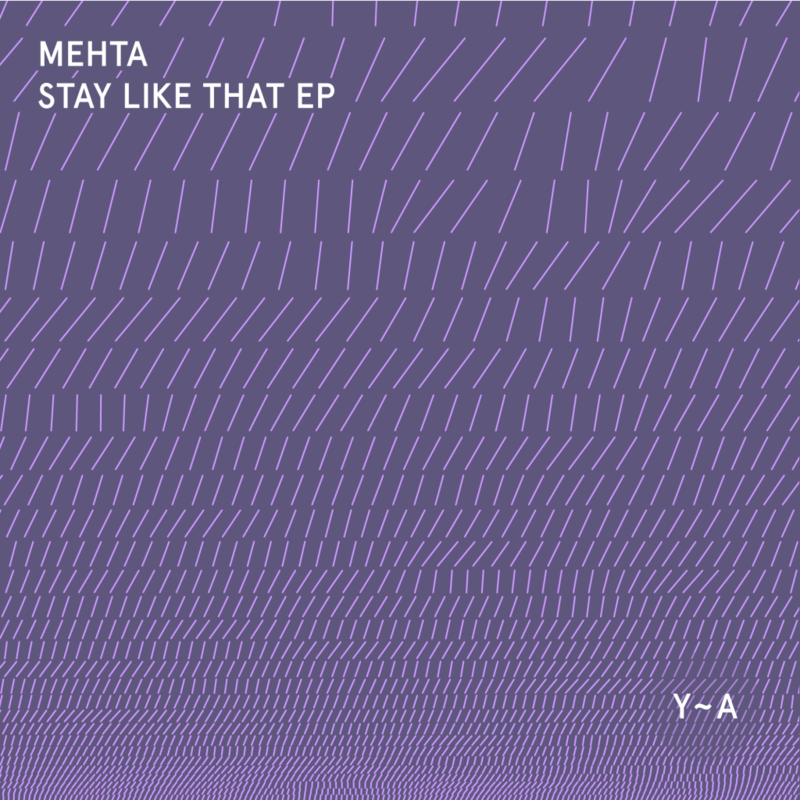 With «Stay Like That EP» Mehta returns to Yarn Audio for a second release. This time, he brings three hybrid software / hardware tracks – atmospheric yet still punchy, each track is meant for a different time of night in the club. First up is «Stay Like That», a late night / early morning burner with heavy, throbbing bass and a spooky yet playful vibe. It meanders through a subtle progression, and in the last few minutes of the track, the rhythm section ends, leaving only a delicate ambience. Next is «Keep This Room», a mid-set groover with a funky 16th-note bassline. It starts out empty with just the kick and bass, slowly adding droplets of percussion until a soft, drawn-out melody comes in after two minutes. After three minutes, the track breaks down, leaving only the bassline as anchor. When the energy returns, the vocal refrain «time to» appears, lifted from an unnamed pop tune. The track rolls out until the end, satisfying the dancefloor with its simple bass and kick interplay and delicate sounds placed on top. Rounding out the EP is «Lip Musse». Featuring an extended keyboard solo over a bed of analogue warmth, this one is meant for the early hours of the party, when the dancefloor is sparse and quiet. Although this tune revolves around understated interplay between soft synth patches, it still has a deep bassline to move the early dancers. At 3:30, after an unassuming breakdown, the kick returns along with a new bit-reduced rhythm. This further drives the track’s quiet yet insistent vibe.